Trader Joe's has a variety of vegan holiday goodies that make it easy to get into the festive spirit. Many old favorites have returned (Candy Cane Joe Joe's! Chocolate Peppermint Almond Drink! 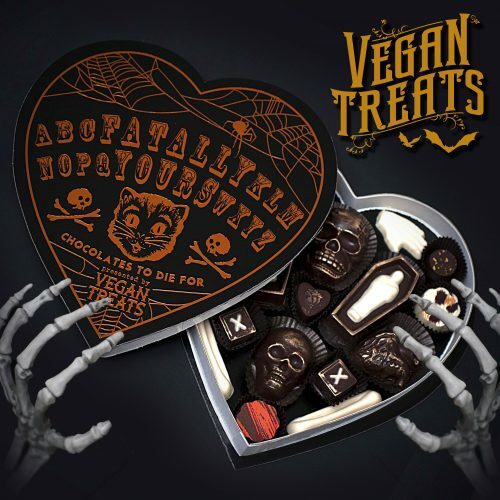 ), and a few new vegan goodies have popped up on shelves. 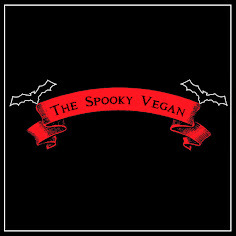 While I get much more excited for their bounty of autumn vegan items I still love seeing so many winter holiday treats that vegans can enjoy, bring to holiday get-togethers, and share with friends and family! 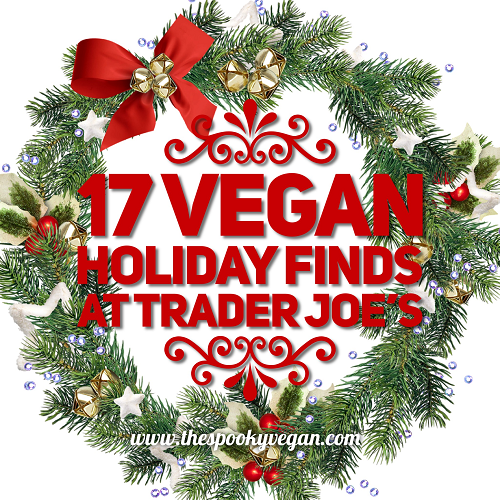 Below you'll find the vegan holiday food that I saw on shelves at Trader Joe's - remember that most of these are seasonal products that are available for only a limited time, so grab them while you can! 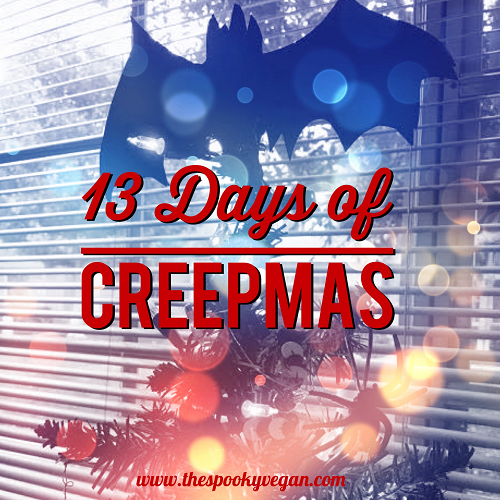 Happy 13th day of Creepmas! I hope you have enjoyed all the posts I've shared since December 1st, it has been a blast injecting some spooky spirit into the horror-days! For the final day, I thought it would be fun to share some of my favorite posts from other blogs that got into the creepy Christmas. While organizing my time and events usually occurs in a digital format more often than not nowadays, I still LOVE physical calendars and usually like to have several around my house and work spaces. Shopping for next year's calendars is one of my favorite things to do, and I love picking out the spookiest and kookiest calendars for myself! This year I picked out some calendars that are for those of us that appreciate a darker aesthetic, including haunted ruins, black cats, skulls, night skies, vintage macabre images, retro horror movies, Halloween, and favorite dark artists. My only problem this year will be choosing just two calendars for myself! 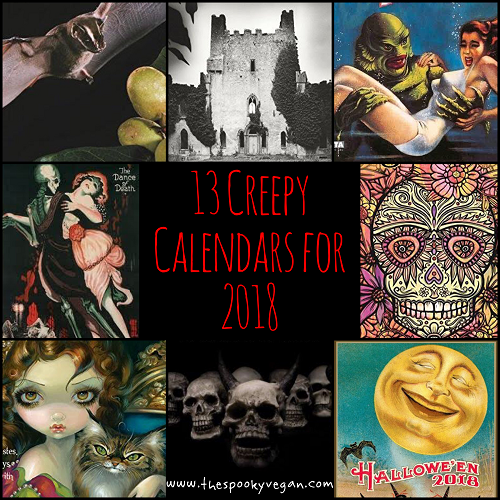 Check out 13 creepy calendars below (links go directly to Amazon) and let me know which ones are your favorites! I simply adore catching up on reading over the holidays - my family knows I love books, so I usually get a pretty good book haul for Christmas. Then for the next few weeks I usually spend my spare time on the couch curled up with one of the books I received. It's bliss! This year, there are many new non-fiction releases that I have my eye on and that I've added to my Christmas wish list. The ones I've chosen below explore death culture and customs around the world, gorgeous cemeteries to visit before you die, grisly methods of Victorian surgery and medicine, historical charlatanism involving "cure-alls", and the popularity and downfall of spirit photography. 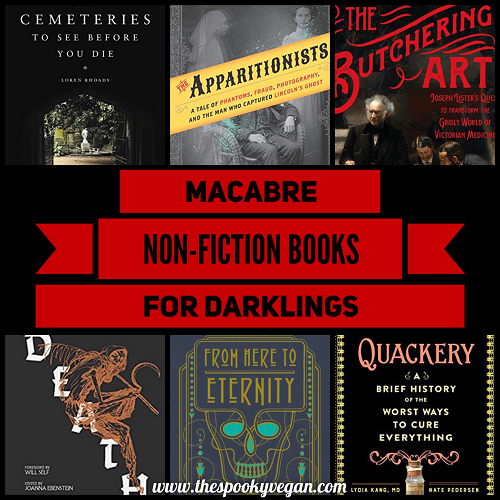 These nefarious non-fiction books are perfect for yourself or for that special someone who is into macabre history and death-positivity. Check out my non-fiction recommendations below for darklings! 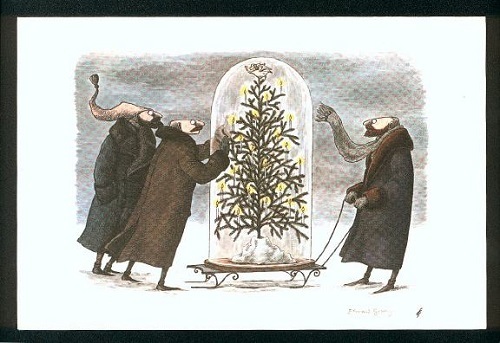 I am sure you are familiar with the weird, whimsical Victorian- and Edwardian-inspired artwork of Edward Gorey. His illustrations were often mischievously macabre, poking a bit of fun at death and often populated by strange creatures, along with Victorian or Edwardian characters. His illustrations are both simple and complex, often hiding intricate detail in an otherwise common setting like a home or outdoors. Obviously, I love his work and seeing it makes me happy. Many darklings (myself included), struggle when telling our families and friends what kind of gifts we would like to receive during the holidays. Now, I know we should be grateful for whatever we receive (even if it is your millionth copy of The Nightmare Before Christmas), but wouldn't it be great if we could nudge our friends and family in the correct creepy direction? 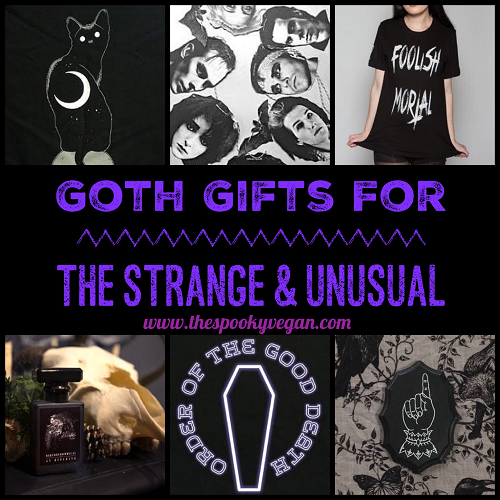 I created this gift guide for goths the past couple years to not only share some fiendish finds I wouldn't mind having for myself but to also to make it easier on those that are shopping for strangelings. This year, I've listed items that are mostly from small independent shops and artists with a few products from larger companies. You will find something for everyone, including art, t-shirts, totes, banners, perfume, wallets, pillows, games, accessories, hoodies, and more! 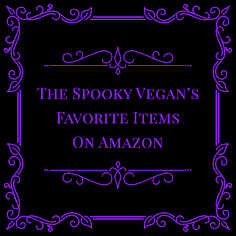 As always, all items listed below are vegan and cruelty-free to the best of my knowledge. I love decorating my Halloween Christmas tree every year with eerie ornaments! 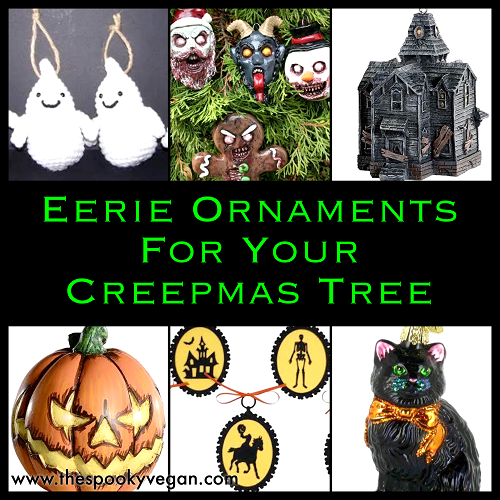 I have just a small artificial tree that I decorate with mini Halloween ornaments I've had for years (you can check out photos of it from last year HERE and a few years back HERE! ), but in the future I hope to get a full-size Christmas tree (artificial and in black, of course!) that I can decorate with Halloween and horror-inspired ornaments and lights. There are just too many amazing ornaments I would love to have that I currently don't have room for on my tiny (but adorable) tree. Most holiday cards aren't really my style, and while I love sending and receiving greeting cards, I do wish I got more creepy Christmas cards rather than the same ol' holly-jolly kinds of cards. 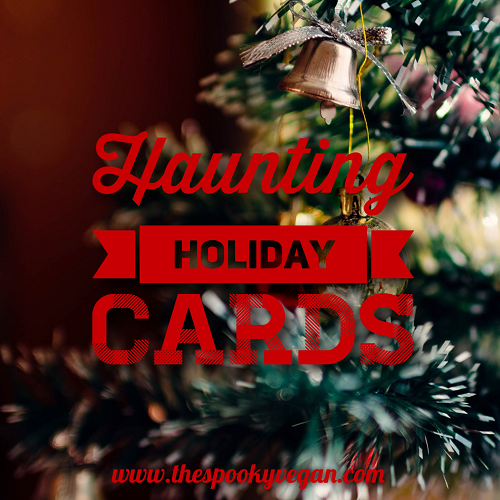 Luckily, there are many other people that would rather have haunting holiday cards as well, and I've find lots of spooky stationary from some rad artists on Etsy. There is nothing better than wrapping up your gifts in stunning wrapping paper to dress up that one-of-a-kind present for a special someone! 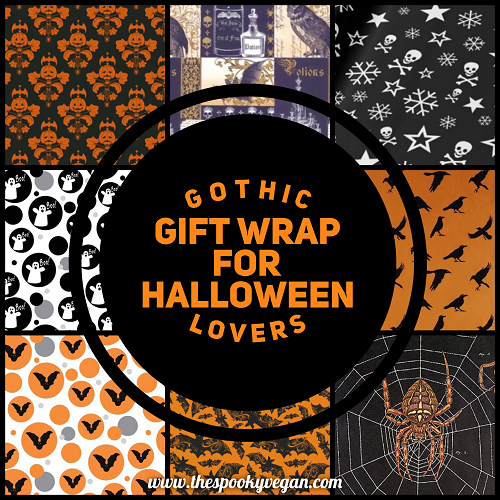 And if that special someone happens to love the darker side of life, all things Halloween, and have a gothic aesthetic I have the perfect wrapping paper for them! You don't need to use the same red and green wrapping paper dotted with Santas or smiling snowmen/penguins/etc. this year, show your favorite people you really care by wrapping up their gifts in gorgeous prints featuring vintage spiders, bats, owls, pumpkins, the Grim Reaper, skulls and snowflakes, or even Krampus! Happy Krampusnacht! December 5th traditionally is celebrated in certain regions as Krampusnacht or Krampus Night ( you can read more on the history and traditions of Krampusnacht here and here!). On this night it is said that Krampus visits naughty boys and girls, whipping them and putting them into a sack to cart them off to Hell as a punishment. 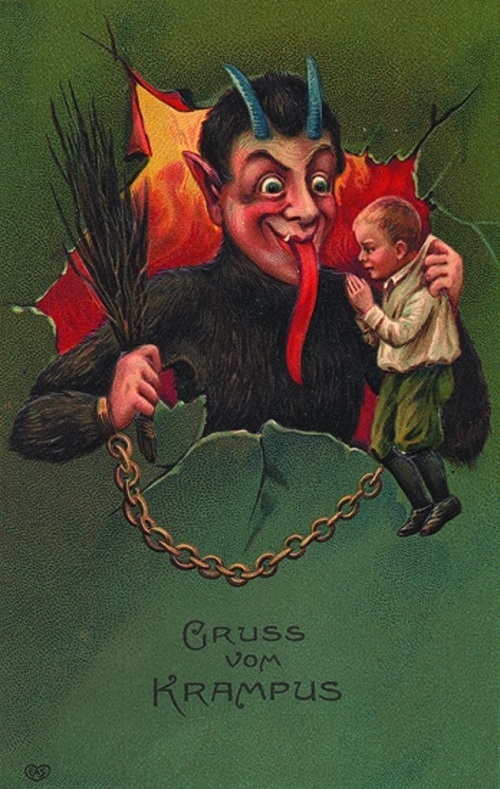 In countries like Austria, they have Krampus laufs, kinda like parades, where people dressed as Krampus and their demonic helpers stalk the crowd and punish those that they deem naughty. There are also events across the US that now also celebrate this holiday, including several events here in SoCal (check out last year's post on where to find these HERE!). I found the spookiest, kookiest Christmas song that perfectly captures how I feel this time of year! 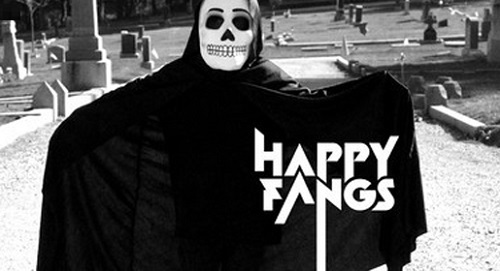 "All I Want For Christmas Is Halloween" by the Happy Fangs (I even love the band name) expresses every Halloween fiend's fondest wish - that instead of Christmas we get another Halloween. The video itself features adorable lil' death minions and a Halloween makeover of Christmas decorations. Ugly Christmas sweaters don't have to be tacky disasters adorned with tinsel and snowflakes - now you can find ones that are tacky masterpieces adorned with skulls, monsters, bats, skeletons, and Krampus! 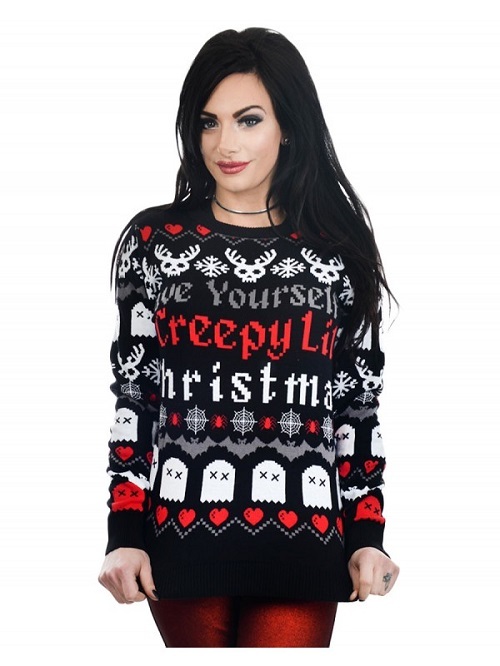 Of course, there have been some rad Creepmas sweaters the past few years (check 'em out here, here, here, and here! ), but it seems that every year there are even more eerie options for us spooky fiends. This year, I found some gorgeously gothic sweaters that are perfect for scaring the holly-jollies out of your neighbors, little old ladies, and your family when you sit down for holiday get-togethers. Are you looking for the perfect holiday gift for a fellow Halloween lover or a little something to add to your own Creepmas wish list? 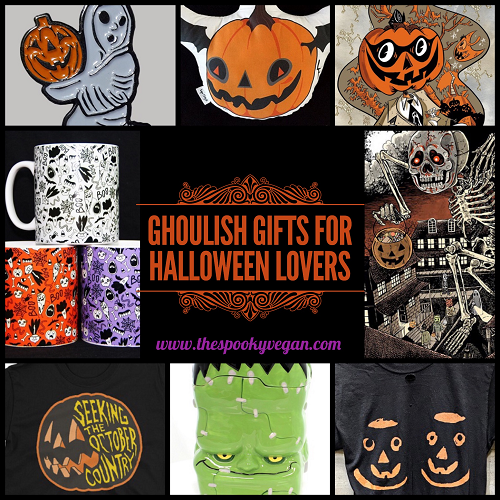 I've spent the last few weeks keeping an eye out for spooktacular Halloween-related items that would make perfect presents for those that like to keep it creepy! 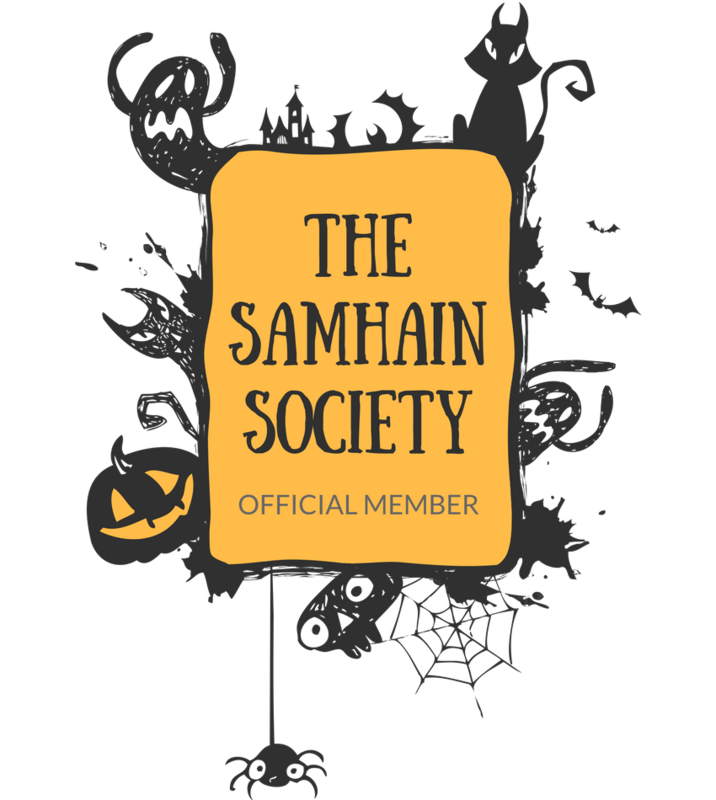 I've rounded up everything from macabre club memberships to eerie artwork to creepy kitchen items to terrifying t-shirts to boo-tiful bags to spooky jewelry to horrific housewares and much more, making it easy for your to choose an unforgettable holiday gift for that spooky someone. Merry Creepmas! 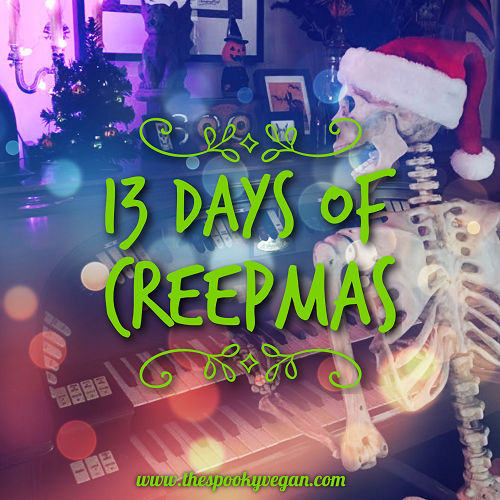 December 1st kicks off the 13 Days of Creepmas, which is a takeover of the holiday season by a group of like-minded bloggers where we infuse some much-needed spooky spirit into the holly jolly season! 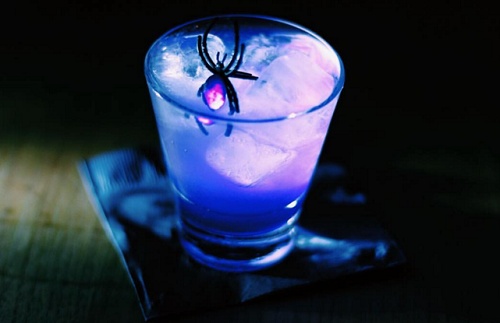 We share how we celebrate the holiday season in our own spooky way, putting a dark spin on the horror-days! You can read more about the event and find the complete list of blogs participating HERE! I'm excited to participate in Creepmas again this year (I've been doing it since 2011!) and I'll be putting my own dark spin on the holidays by sharing gothic gift guides, sinister sweaters, haunting holiday cards, eerie ornaments, and much more! I'm a little late with this, but I promised to share some peeks of my spooky home all decorated for Halloween with you! If you follow me on Instagram, you've already seen some of my tomb sweet tomb. It's small, but cozy and decorated for Halloween year-round, though it does get a little extra decorated for the Halloween season. 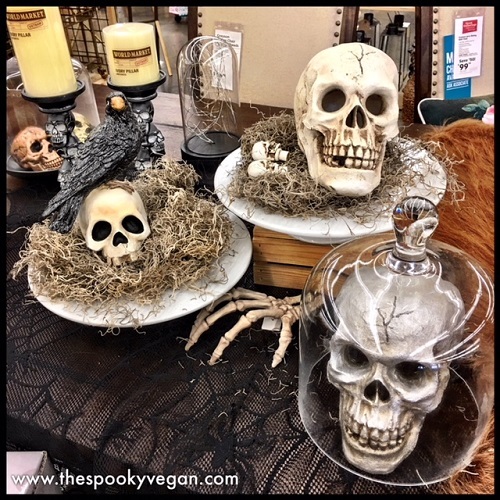 Though I've taken down some of the Halloween decorations shown below, the orange and black aesthetic continues all year long and anyone who walks in the door pretty much knows I adore Halloween! Whew, it's hard to believe Halloween season is over and that November is already half over! This Halloween season was a little rough on me (not to mention being hit with some bad post-Halloween blues), so I'm taking a break to reset and focus on goals for next year. I need some time to focus on the smaller things, spend time with myself and family, and get inspired for next year. In the meantime, I thought I'd share some of my Halloween leftovers with you all, which are basically just a random bunch of pictures from the Halloween season I haven't yet shared here. Looking back at what I did this season is a big help in getting me excited about next Halloween season, believe it or not! And hopefully they will help me (and maybe you) beat the Halloween blues. Happy Halloween! The big day is finally here, and while I'm stuck at work, I can't wait to get home to pass out treats to kiddies while watching Halloween movies. I'll be honest, this Halloween season has been really hard for me. While I did end up doing a lot of fun stuff, I felt this year was a bit lackluster for me and definitely went by too fast. I also suffered from Halloween burnout early on and between work and the anxiety of dealing with family in the California wildfires (they are all fine now), I wasn't very full of Halloween spirit this year. I'm hoping next year is better. How would you like to travel the world checking out festivals, celebrations, and haunted attractions Imagine the wonder and excitement you would have visiting traditional Dia de los Muertos cemetery celebrations, attending demon festivals in Japan, getting menaced by Krampus in Austria, exploring locations that inspired Castle Dracula, traveling up a mountain to celebrate Walpurgisnacht in Germany, and checking out different haunted attractions around the world! 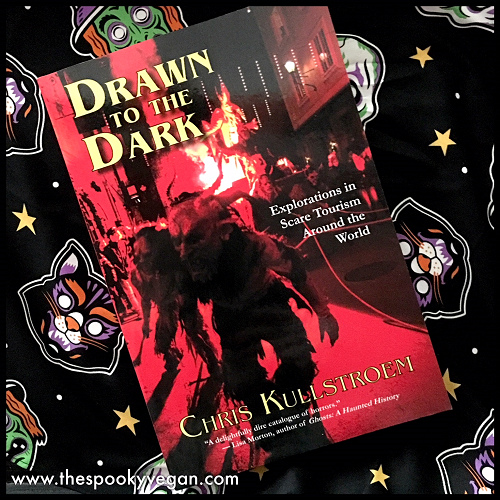 That sounds so incredible, and that is exactly what author Chris Kullstroem did for a whole year. The Enchantment Box is a new monthly subscription service that sends you a magical themed box full of goodies like cruelty-free makeup, vegan snacks, delightful decor, gorgeous jewelry, fun paper crafts, beautiful bath and beauty products, and other charming treats! Plus, all boxes are completely cruelty-free and vegan, yay! 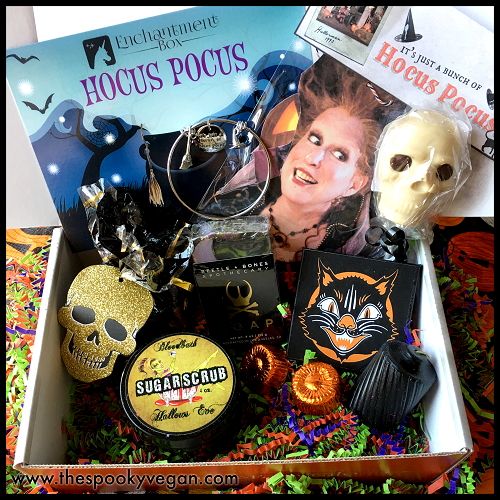 They contacted me recently to see if I would be interested in reviewing their October 2017 box, whose theme was Hocus Pocus. I really had to contain myself (because OF COURSE I WAS INTERESTED), as I was so excited about this box since Hocus Pocus is one of the best movies ever and one of my personal favorite Halloween movies! I checked out some of their past boxes, whose themes included Marie Antoinette, Mystical Mermaid, and Secret Garden, which made me even more thrilled when I saw the fantastical fripperies that were tucked away in those boxes. I knew then that I was head-over-heels in LOVE and couldn't wait to check out their October 2017 box. See my step-by-step unboxing below! 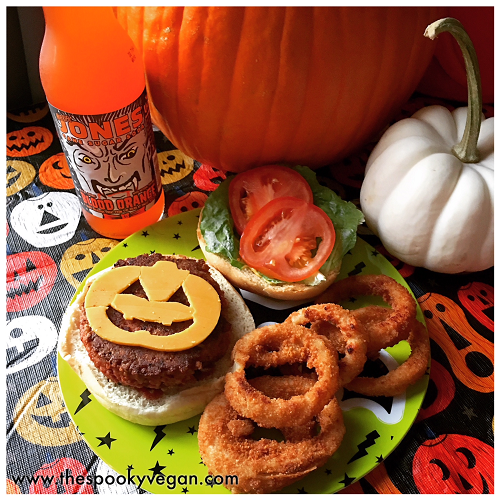 Enjoy a vegan Halloween burger this October (and beyond)! 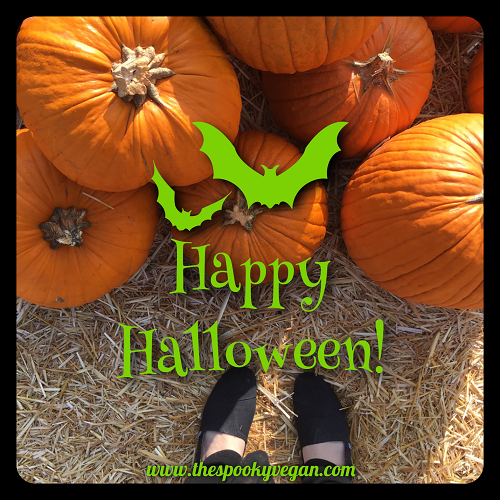 If you're like me, you like to add Halloween magic to everything, and that includes food! I mean, I don't have the time to get too fancy, but a few fearsome flourishes can add Halloween spirit to any meal. As you can see from my pic above, sometimes the simplest trick makes for a festive treat! Turning a vegan cheeseburger into a Halloween cheeseburger is really easy, but I'll walk you through how to do it below. Monsters plus cats? 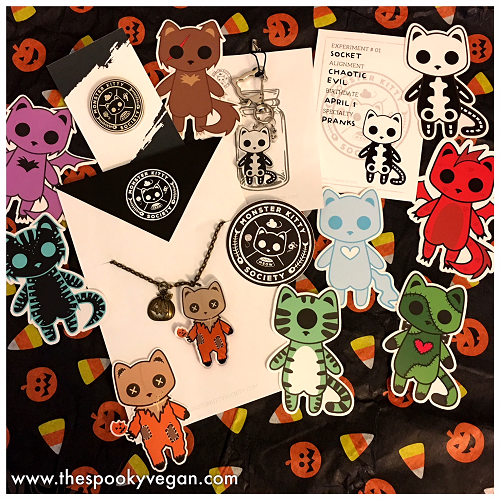 That sounds like a purr-fectly spooky combo and it is a reality thanks to Monster Kitty Society, a woman-owned company that designs and makes adorably eerie jewelry that is both cute and creepy! Monster Kitty Society features a variety of Monster Kitty characters that come with their very own cards describing their traits and fun facts about them. From these different characters you can choose necklaces, stickers, keychains, enamel pins, bags, t-shirts, and so much more! Here is a little more about them via their website: "Monster Kitty Society is home for dark souls who love cats. The monster cats only like people who get them, and they're pretty picky. We have an aesthetic. It has to be dark and it has to be cute. We prefer to cuddle up in the dark with our cats. If you're not about that life then you better scram! Our hoard is ever-growing. Are you ready to join?" Brady Stoehr is an illustrator creating horror-inspired art in the woods of Missouri. 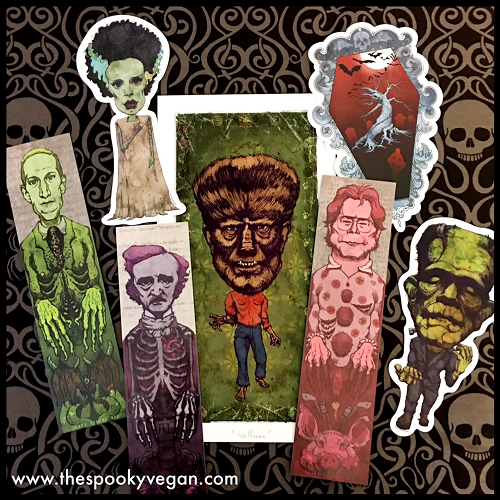 His renditions of classic horror monsters as well as illustrations of famous horror authors immediately drew my interest when he first reached out to me and kindly offered to send me some of his pieces for review. He has posters, prints, stickers, bookmarks, and more available in his Etsy shop. I was lucky enough to receive one of his art prints, stickers, and bookmarks to check out. Hanging out at the pumpkin patch with my spooky Sanrio friends! At the beginning of October, I did one of my favorite things - visit my local pumpkin patch! 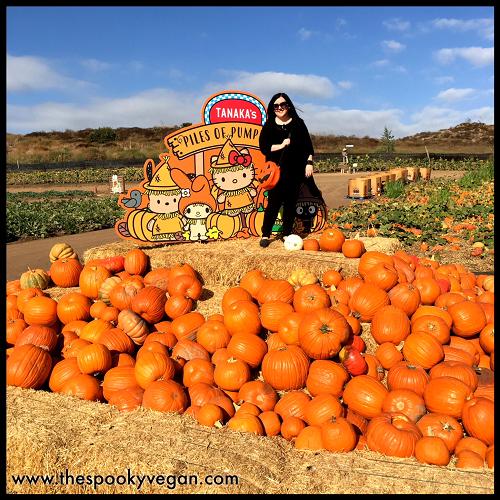 I have been going to Tanaka Farms for years and enjoying their pumpkin patch is one of my Halloween traditions. This year, they teamed up with Sanrio to bring some Hello Kitty cuteness to their patch! I usually go opening weekend, but this Sanrio collaboration proved to be so popular that we decided to go in the middle of the week instead and it was much less crowded. 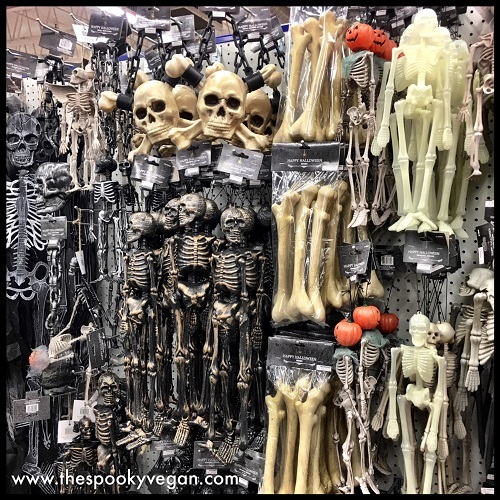 Last year's Grave Harvest was so much fun (check out my recap! ), I couldn't wait for this year's event, which took place this past Saturday at The Hotel Fullerton. Grave Harvest is Orange County's very own Halloween convention hosted by Abracadaver Productions, and features oodles of Halloween vendors, plus classes and presentations throughout the day. Check out my coverage of this year's event below! The Babysitter hit Netflix on Friday, October 13th and I couldn't wait watch it! This horror comedy stars a young cast including Samara Weaver, Bella Thorne, and Judah Lewis and is about a young kid who finds out something disturbing about his babysitter - that's basically all I knew going in when I gave it a look over the weekend and was pleasantly surprised by how much fun I had watching it! It has a fun '80s slasher vibe while still managing to feel fresh. Plus, it's not afraid to poke a little fun at the horror genre. Check out more of my thoughts on it below. Every kid should be able to go trick or treating, even if they aren't able to eat the candy they collect due to allergies or wanting to eat healthier. Now with this adorable Switch Witch, they can! 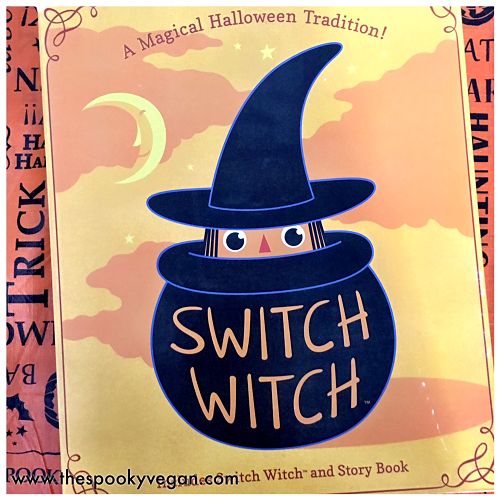 The Switch Witch offers a new tradition that encourages kids to swap out Halloween candy for other fun things. Looking for something adorably eerie to wear to the pumpkin patch, your local haunted house attraction, out Halloween shopping, or even just around the house this October? 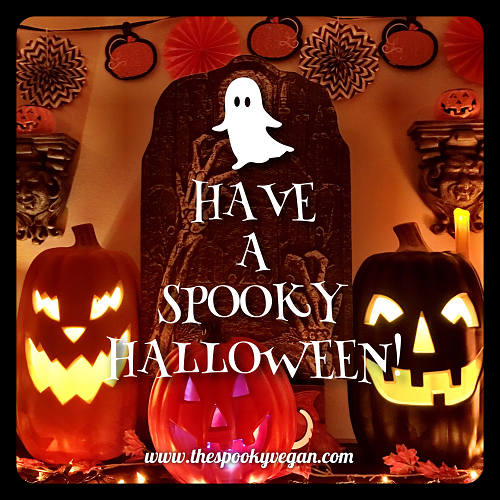 There are so many boo-tiful clothes to adorn yourself with this spooky season, and I wanted to share with you my favorites. If you know me, you know I'm a pretty basic ghoul - I usually only wear plain black clothes (usually consisting of black pants and black top) and don't have much variety in my closet. Call it minimalist goth or just plain laziness, but I'm pretty set in my simple style. However, the fearsome fashions below kinda make me want to branch out a little and get gussied up for October! 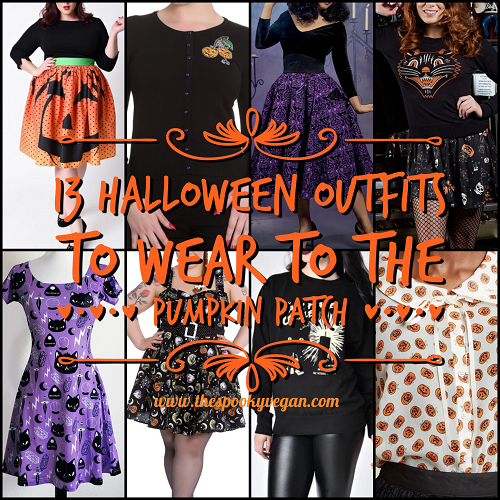 Most of the styles below gravitate toward vintage looks, but I've tried to throw in a little bit for every ghoul, including dresses, skirts, leggings, sweatshirts, and more. Hopefully you'll find something you like, I know I did though some of the items below are outside my all black everything aesthetic. 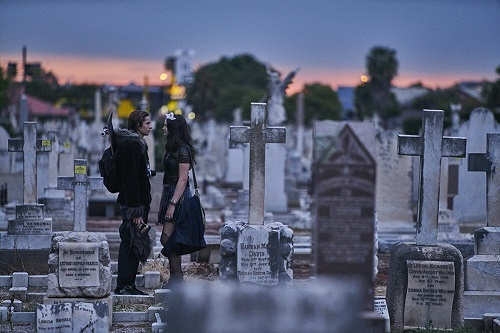 This coming-of-age drama from Australia gives us a glimpse of how Halloween is celebrated down under, and it is gorgeous. It is also set in the '90s, so we get some nostalgic tunes from Presidents of the United States, Marilyn Manson, Bush, and more. The Halloween imagery has a distinct vintage feel, especially with the costumes some creepy kids wear in the opening scenes as well as the Halloween decorations used throughout the film. It features some truly eerie scenes and blends fantasy with elements of horror, coming-of-age tale, and drama to create a beautiful but heartbreaking film. Read more about Boys in Trees below! 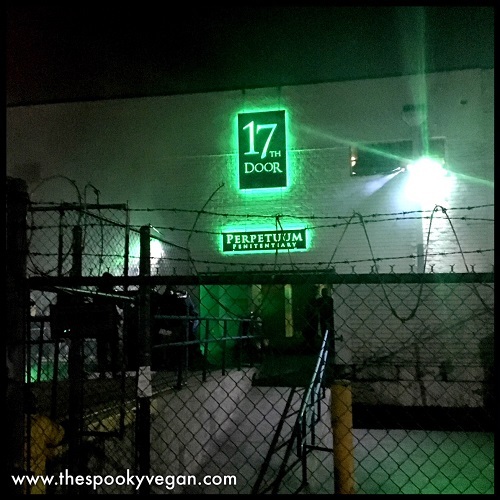 Today we have a guest post from Justin Rekt, who attended The 17th Door: Locked Up Haunted Experience in Fullerton, California. This haunted attraction is an intense, extreme haunt featuring 17 horrific rooms groups of approximately eight people have to survive. Each year has a different theme, this year they have moved from Irvine to a location in Fullerton with a hellish prison theme. Read about Justin's experience below! Halloween 2017 shopping at the 99 Cents Only Stores! 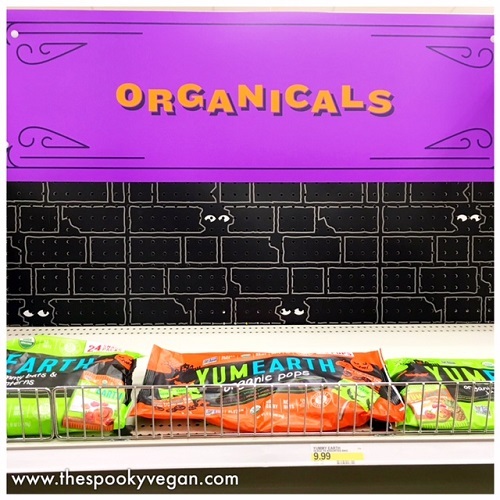 Halloween month is in full swing, and there is so many great Halloween items out there this year! To be honest, there is so much awesomeness this year that I am way behind on posts. I will try to be catching up over the next few days to finish up showing you all the gruesome goodies I've seen in the stores I've visited, starting with the 99 Cents Only Stores! Looking for something to do in Los Angeles on Friday the 13th? 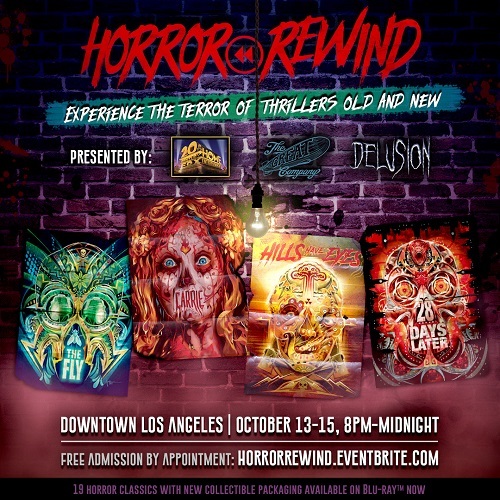 A brand new Halloween attraction is opening for a limited three night engagement October 13th called HORROR REWIND! Horror films from the Fox Home Entertainment archive will be recreated for horror fans to experience for this limited-time attraction in Downtown Los Angeles. Horror fans will be plunged into the mind of an obsessed horror fan, who has recreated his favorite films, including The Fly, The Hills Have Eyes, 28 Days Later, and Carrie. HORROR REWIND is free, but you need to RSVP to secure your space and free tickets for this eerie event. Stop everything you're doing and go watch Raw on Netflix now! It is one of my favorite films I've seen this year, and I am so excited that it is finally on Netflix so it can reach a wider audience. This French-Belgian film was brave, bold, and had plenty of cringe-worthy moments throughout. 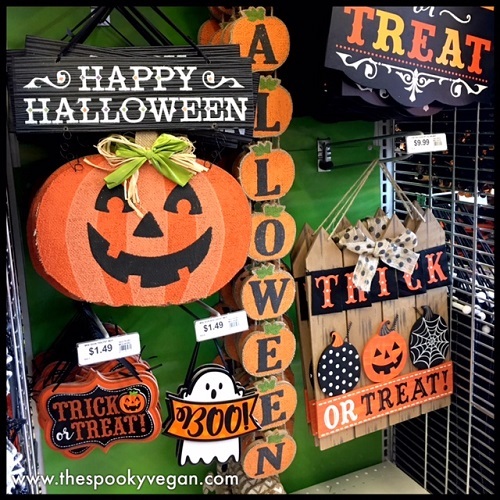 Look at all these adorable Halloween signs at Party City! I had a blast at last year's Grave Harvest Halloween convention at The Hotel Fullerton in Fullerton, California (read my recap HERE! ), so I am looking forward to its return this Saturday, October 7th! Get your tickets now, as you need to purchase them in advance and none will be sold at the door. Tickets are only $10, and parking is free - you can purchase tickets HERE! Read more about this Orange County Halloween convention below! 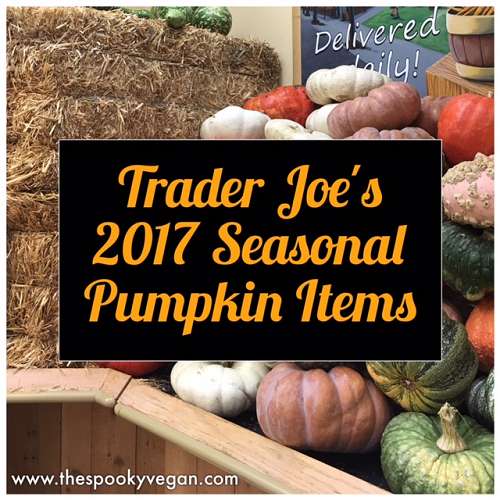 I look forward to Trader Joe's seasonal pumpkin food items every autumn, and they rarely disappoint! 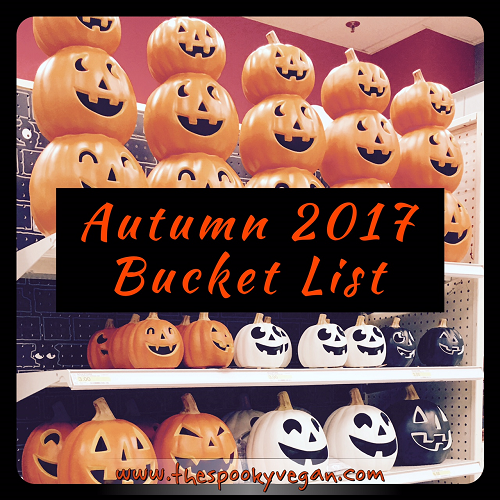 They have a great selection of pumpkin and autumn food, many of which are vegan. I start stalking their stores for pumpkin items in mid-September, and when I finally find all their seasonal stuff out, I go a little nuts buying all my faves! Halloween-themed or evokes a Halloween and/or autumn feel this October. You know what a pet peeve of mine is? When people put together Halloween movie lists which just end up being lists of a bunch of horror movies that have nothing to do with Halloween! I watch horror movies all year round, so these "Halloween" movie lists make no sense to me and annoy me. When I make a Halloween movie list, I only include movies that actually have Halloween in them! I want films that give me those Halloween feels, that feature autumn foliage, trick-or-treating, costumes, jack-o-lanterns, and all the other Halloween things! Doesn't that make much more sense than just a random list of horror movies? Since I keep seeing so many horror movie lists for October, I decided that I would share my own list of Halloween-themed movies I plan on watching this October. I plan on watching at least one a day the whole month of October (I already watched my first pick yesterday). I have selected movies set during Halloween or that evoke a Halloween feel. Many of the films I chose are horror movies, but there are also kid-friendly ones, a few comedies, and even a TV show (that basically plays like a movie) to keep things interesting and fun. 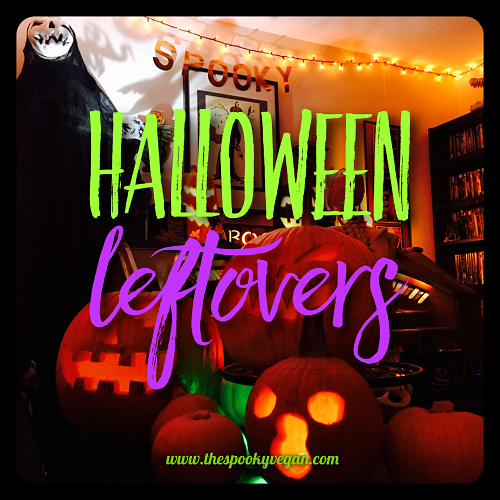 If you want to surround yourself with autumn atmosphere, join me in watching these movies that are either set in or around Halloween or evoke an autumn atmosphere. 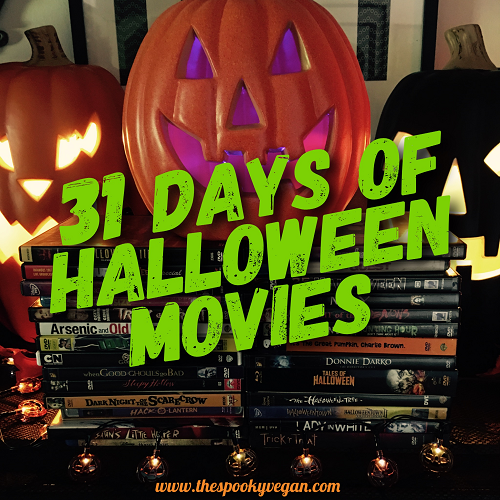 Check out my 31 Halloween movie selections below! Happy October 1st and happy first day of the 31 Days of Halloween! If you've been a follower of mine for past Halloween seasons, you know that October 1st kicks off the 31 Days of Halloween event, hosted by Countdown to Halloween, where a collective of spooky blogs (like me) share Halloween-related content all October long! I've been participating since 2010 (!!!) and it is one of my favorite Halloween events that I look forward to every year. 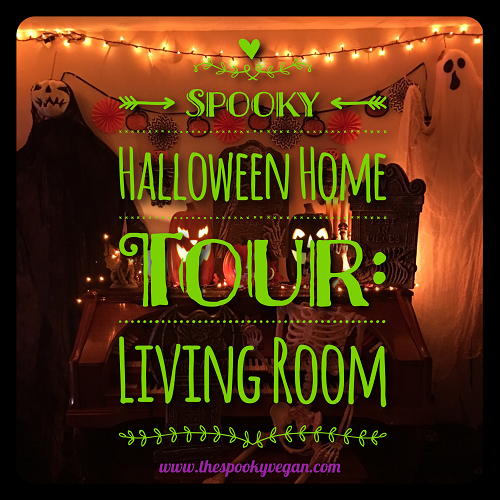 I not only love sharing my Halloween experiences with you, but I also adore reading other blogs. 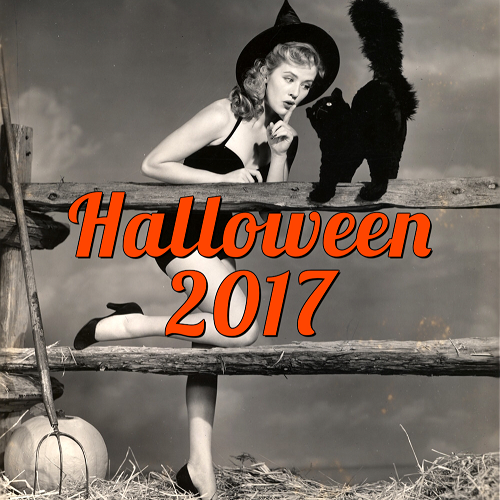 I highly recommend you take a look at the list of other participating blogs on Countdown to Halloween to fill your October with maximum spookiness! Last night I attended opening night of The Queen Mary's Dark Harbor 2017 (full disclosure: I was invited to attend the media preview before general admission). I had never been to Dark Harbor before, so I was excited to check it out! 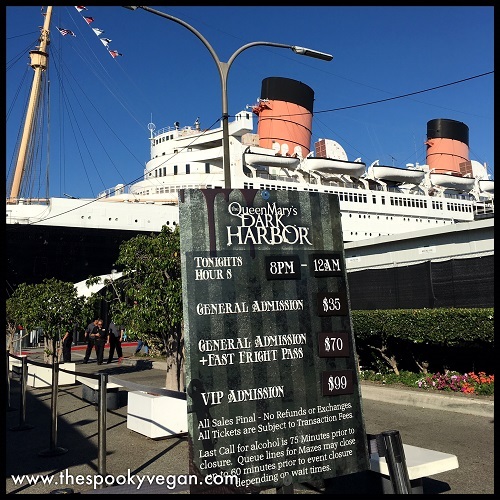 I had heard many good things about Dark Harbor and I was really intrigued by the numerous mazes they had aboard the ship, along with the other carnival-style areas and other mazes throughout the grounds by The Queen Mary. The Queen Mary is legendary already and full of ghost stories, and I can't think of a more perfect venue for a haunt! I couldn't wait to go aboard and visit all the spirits. I'll walk you through my night below! 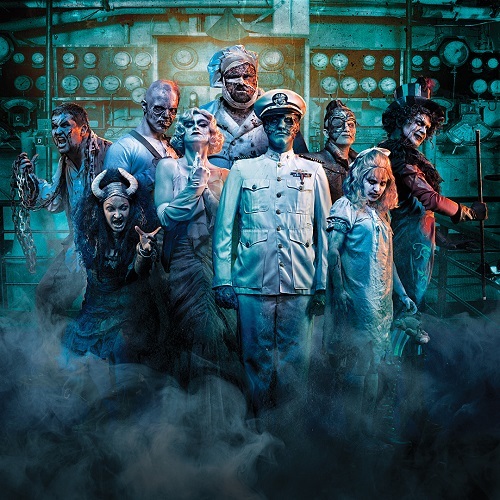 The Queen Mary's Dark Harbor is opening tonight, Thursday, September 28th, and it promises seven terrifying mazes plus additional scare zones and attractions that you don't want to miss! It will be my first time experiencing Dark Harbor, and I'm so excited that I'm actually getting a little nervous, haha! I'll be providing full coverage of the event here in the next few days, but also follow me on Instagram as I'll be posting stories throughout the night there. 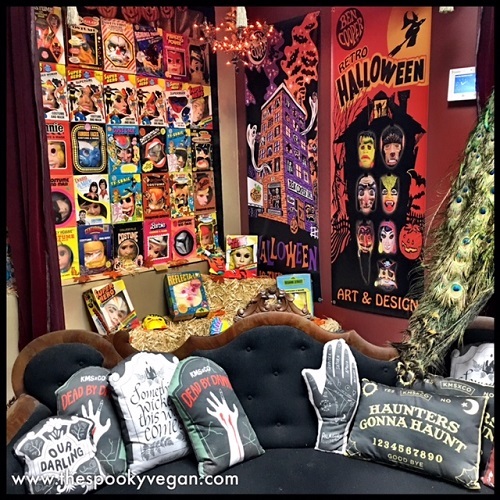 Haven America has a boo-tiful collection of Halloween wall decor and accent pieces that I have been drooling over lately, ranging from jolly jack-o-lanterns, fiendish Frankenstein's monsters, witches hats, black cats, bats, and more! They sent me one of their wooden wall signs to me for review, check out what I thought of what they sent me below! Bearded Lady's Mystic Museum is a must-see haunt located in Burbank, California that regularly hosts themed art shows and exhibits as well as selling a variety of spooky goodies! They also own Bearded Lady Vintage, which just moved in to the adjoining space (they used to be a few blocks down from The Mystic Museum). I love how they are both conveniently located next to each other now! The exhibits currently on display the months of September and October are a Ben Cooper exhibit, dedicated to the retro costumes of past years as well as artists' representations of the famous Ben Cooper masks, and then there is Slashback Video, paying homage to horror sections of VHS rental stores of the past. Besides rows and rows of VHS horror, Slashback Video also featured artists' renditions of horror movie cover art, done on VHS boxes! Are You Brave Enough to Spend Halloween Night in The London Dungeon? Experience the Ultimate Halloween Sleepover in London’s Scariest Attraction! 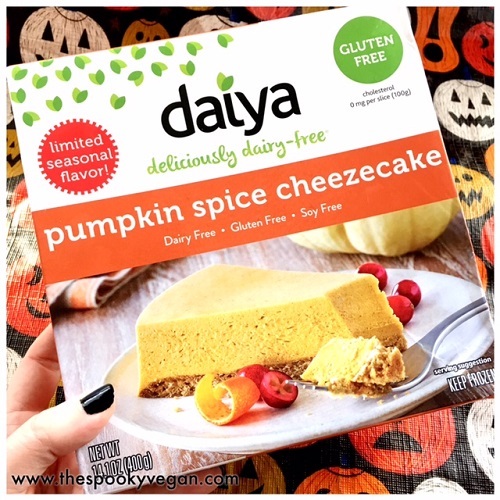 This past March at the Natural Foods Expo I had a chance to try Daiya's Pumpkin Spice Cheezecake, and I've been dreaming about it ever since (it was one of my top 10 picks from Expo!). 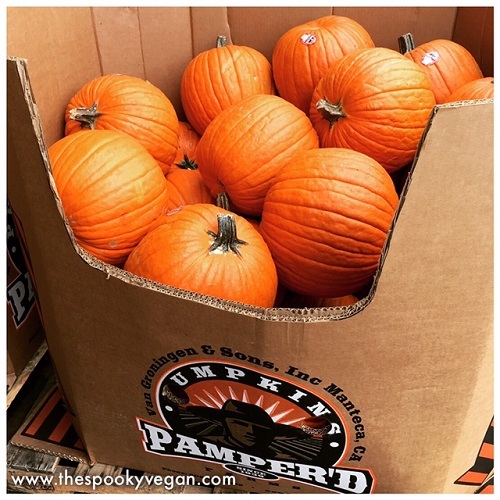 Fall is finally here, and I was so ecstatic to finally find the seasonal cheezecake at Sprouts Farmers Market (along with a lot of other seasonal pumpkin food items - see more in my roundup)! Check out what I thought of it below! Also spotted my first pumpkins at Whole Foods!